Hörnqvist was born on 1 January 1987 in Sollentuna, Sweden. He began playing hockey in local Sollentuna-club Gillbo IF and also played minor hockey in Solna SK. Hörnqvist later moved on to play junior hockey in Väsby IK Hockey. He was part of Stockholm/Röd's team in the 2002 TV-pucken and also made some appearances in Väsby's senior team the same season. Hörnqvist played two additional seasons with Väsby, but when head coach Charles Berglund was acquired by Djurgårdens IF in 2004 as assistant coach, Hörnqvist followed. He played a few games for Djurgården's J20 team during the 2004–05 season and was drafted by Nashville Predators in the seventh round, 230th and last overall in the 2005 NHL Entry Draft. Hörnqvist made his Elitserien debut on September 26 against Timrå IK and played 47 games out of 50 during the 2005–06 Elitserien season scoring five goals and seven points. He became the Elitserien Rookie of the Year in 2007 after a successful second season in Djurgården's regular team, scoring 23 goals and 34 points. Hörnqvist during his time with the Predators. Hörnqvist signed on a three-year contract with Nashville in May 2007 but had already chosen to stay for another season in Djurgården during the previous month. He played another good season scoring 18 goals and 30 points in 53 games; and participated in his first Elitserien playoff when Djurgården met Linköpings HC in the quarterfinals. These games did not go well for Hörnqvist; he recorded only one assist, and his team lost the series 4–1. Hörnqvist moved to North America for the 2008–09 NHL season in hopes of making the Predators' roster. However, he struggled and was assigned to their minor league affiliate, the Milwaukee Admirals of the American Hockey League (AHL), where he spent most of the year. He scored his first NHL goal on October 15, 2008 against Marty Turco of the Dallas Stars, in one of his 28 NHL games that year. Hörnqvist broke out in the 2009–10 NHL season, leading the Predators in goals (30) and tying for the team lead in points with 51. 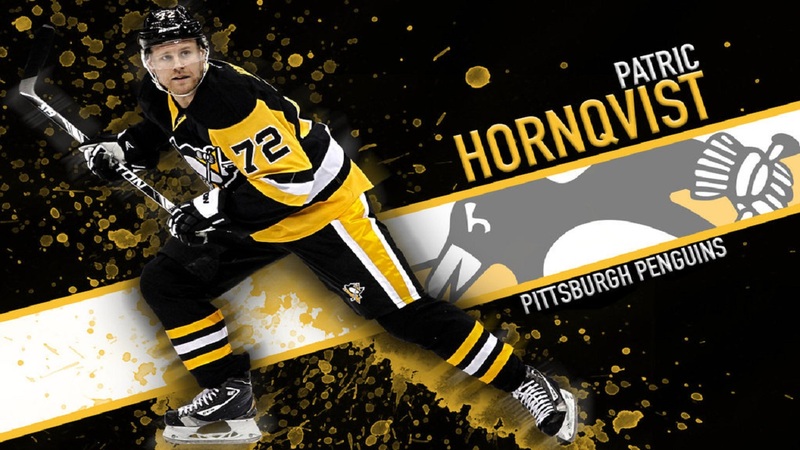 After the completion of the Predators lockout shortened 2012–13 season, Hornqvist was re-signed to a five-year contract extension on April 30, 2013. 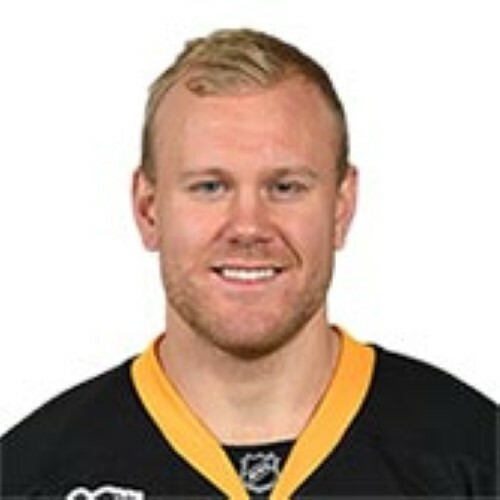 Hörnqvist, along with Nick Spaling, was traded on June 27, 2014, to the Pittsburgh Penguins in exchange for forward James Neal. This trade unites him with Sidney Crosby. Interestingly, Crosby and Hornqvist were drafted in the same year (2005), but Crosby was drafted first and Hornqvist last. As the 2014 season started, Hörnqvist is on the Penguins #1 line with Crosby and Chris Kunitz. 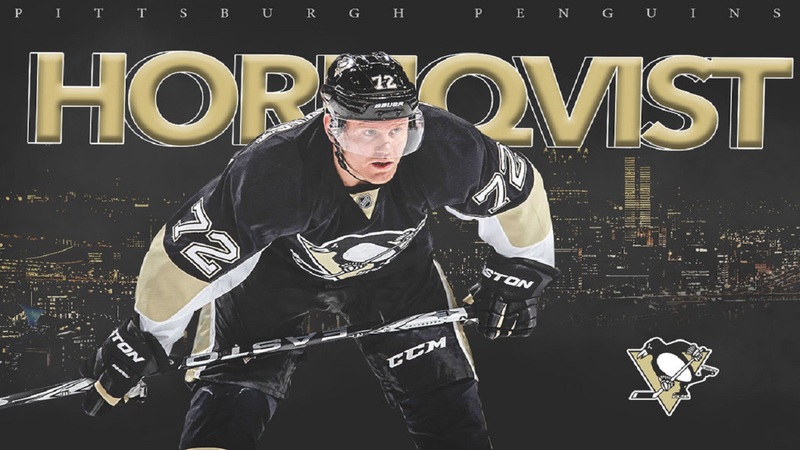 He scored his first goal with the Penguins in his first game against the Anaheim Ducks.